Fill out the form and our team will be in touch with you promptly. Thank you for your interest in our Tiny Tigers program! Fill out the form and our team will be in touch with you promptly. 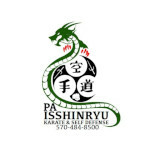 Thank you for your interest in our Kids Martial Arts program! Fill out the form and our team will be in touch with you promptly. Thank you for your interest in our Fit Kids Summer Camp program! Fill out the form and our team will be in touch with you promptly. Thank you for your interest in our Teen and Adult program! Fill out the form and our team will be in touch with you promptly. Thank you for your interest in our Hyper Kickboxing program! Fill out the form and our team will be in touch with you promptly. Thank you for your interest in our Warriors program! Fill out the form and our team will be in touch with you promptly. Thank you for your interest in our Hyper Fight Club program! Fill out the form and our team will be in touch with you promptly. Thank you for your interest in our Hyper Pro Training program! Fill out the form and our team will be in touch with you promptly. Thank you for your interest in our After School Training program!